Eli Manning is 38 years old. The 2019 NFL season will be Eli’s 16th season as a quarterback for the New York Giants. Playing his 16th season with the Giants will officially make Eli Manning the highest paid player in NFL history. It has been widely debated whether or not the Giants should keep Manning in 2019. Whether they keep him or not, the Giants need to secure a future franchise player at the quarterback position. Eli Manning cannot play forever. The Giants need to find their future face of the franchise as soon as possible. Luckily for them, the 2019 offseason has plenty of options at the quarterback position. The 2018 Heisman Trophy winner, Kyler Murray, officially chose football over baseball. The electric dual-threat quarterback is expected to go number one overall in the 2019 NFL Draft. His connection to Cardinals head coach Kliff Kingsbury makes that a real possibility. However, nothing is set in stone. The Cardinals could be constructing a major smoke-screen in order to trade the number one pick for a major haul of assets. If the Giants are in love with Kyler and believe he can be their next franchise quarterback, they could trade up to the first pick in the draft and take him. This move would not come cheap. The Giants would likely need to give up at least two first round picks and a second round pick to make it happen. The Giants showed great interest in Murray at his Pro Day, so it is possible they will consider trading up for him. However, considering Kyler Murray had 4,361 passing yards, 42 passing touchdowns, 1,001 rushing yards, and 12 rushing touchdowns, he just might be worth the high price to pay. Kyler Murray is definitely the most talented quarterback in the draft, but he is not a perfect prospect. Kyler Murray was rumored to have poor Combine interviews. On top of that, he has an unprecedented height from the quarterback position. Standing at 5′ 10″, Kyler Murray will be one of the shortest quarterbacks in NFL history. This is a trait that might cause some teams to take him off of their draft board. Dwayne Haskins from Ohio State also had an incredible 2018 season. Haskins finished third in the Heisman Trophy voting. Dwayne was statistically immaculate in 2018. In his 2018 season, Haskins broke records. He threw 50 touchdown passes to only 8 interceptions. He also gained 4,831 yards through the air. Unlike Kyler Murray, Haskins is not much of a runner, so his rushing yards are nothing to go crazy about. However, he did have 4 rushing touchdowns, showing he can get the job done on the ground when he needs to. Dwayne Haskins is a pro-style, pocket passing quarterback. He has the ability to read defenses and make excellent pre-snap adjustments. The Giants have shown interest in him. They scouted him during the collegiate season and interviewed him at the Combine. 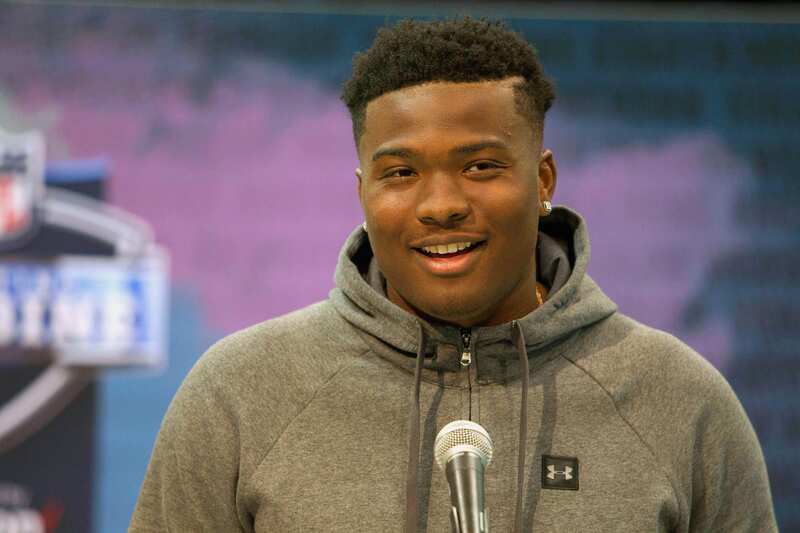 Haskins is a Giants fan so he would love to play for Big Blue and would also be willing to learn behind Eli Manning for a year. The Giants might be able to get Haskins with their 6th pick in the 2019 NFL Draft. However, if they feel like that is too risky, they would likely only need to trade up to the third pick in order to secure Dwayne Haskins. Josh Rosen will be entering his second NFL season in 2019. His 2018 rookie campaign was a disaster. Playing for the Arizona Cardinals, Josh Rosen threw only 11 touchdowns in 14 games to a total of 14 interceptions. In his defense, Rosen was playing behind the worst offensive line in the NFL according to Pro Football Focus. His rookie season was not all bad, however. Rosen flashed his potential a few times in his rookie season. With a better coaching staff, better offensive weapons, and an offseason of training, Rosen could be a special player for another team. Josh Rosen was selected by the Cardinals with the 10th pick in the 2018 NFL Draft. At the time, it looked as though Arizona had secured their future franchise quarterback. That was until Arizona decided to tear it down. They fired their coaching staff and hired a new head coach, Kliff Kingsbury. Kliff Kingsbury and Kyler Murray have a strong connection. It is widely believed that Kingsbury has already made up his mind and has plans to select Kyler Murray with the 1st pick in the 2019 NFL Draft. If this happens, Josh Rosen will be traded. The Giants liked Josh Rosen as a prospect last offseason. If Rosen is made available for trade, the Giants reportedly would be interested in trading for him. The reported asking price for Rosen is a third-round pick. If the Giants believe Josh Rosen has franchise quarterback potential, then trading a second or a third-round pick would be a steal.